If this was the last outfit I ever bought I’d be happy. 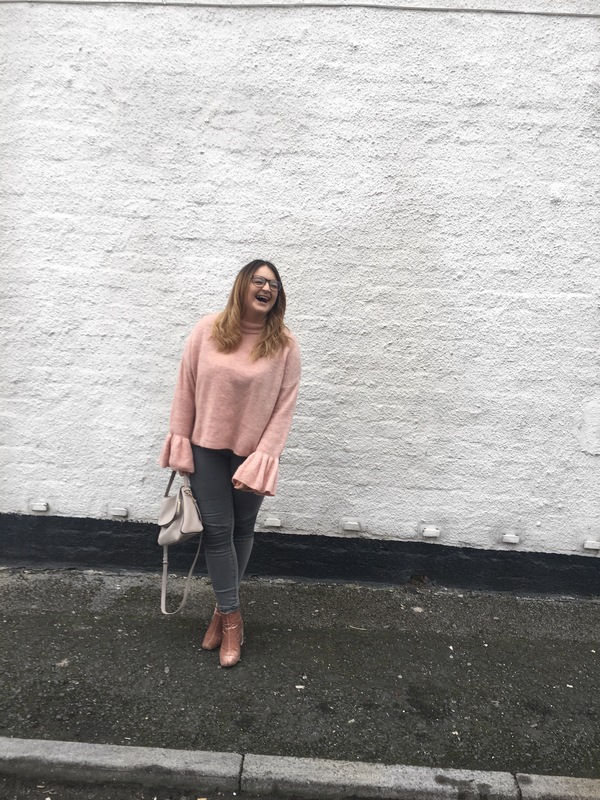 I’ve been lusting after this dreamy jumper from M&S for weeks and knew I needed it in my life. This week I caved, fell into store on my lunch break and had a hard time persuading myself I only need it in one colour. 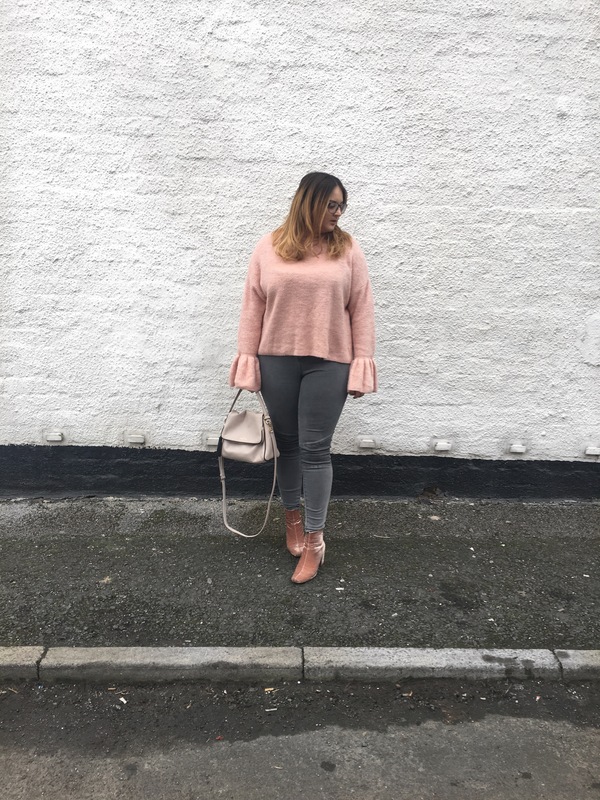 I decided on this gorgeous blush pink shade as I knew it would go perfectly with these Zara boots. However, it’s payday on Friday and we all know the grey one will be in my wardrobe by the end of the weekend. Just look at the sleeves! 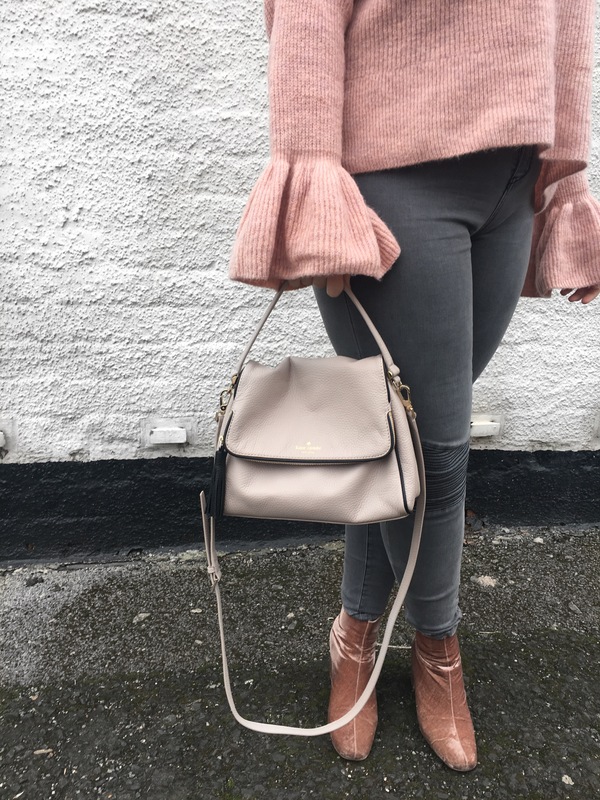 I usually sway towards black jeans but thought these grey ones from New Look would look better with the pink and also go with my new bag. This bag is my current favourite from Kate Spade and was a bargain from their outlet store in Vegas. I wish we had Kate Spade outlets here! Tell me it’s OK to own this jumper in both colours? Oh wow, that jumper and those boots! I love the sleeves! Goes so well with grey jeans too.